A rare opportunity to hit the closed roads of London and take in all the sights. You'll run past Big Ben, Buckingham Palace and The London Eye, just to name a few! Sign up for a charity place by hitting the 'Get a place' button. Entry is free and we ask you to raise £250 to support people living with cancer. Public entry for the 2019 London 10,000 is now open at the official race website. If you secure a place then we would love for you to join the team. Click the 'I have my own place' button to join the team. There's no minimum sponsorship, just raise as much as you can! 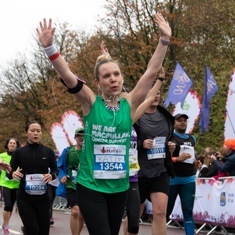 What do I get as part of #Team Macmillan? Our bumper fundraising pack, access to our online training zone and loads of fundraising tips. 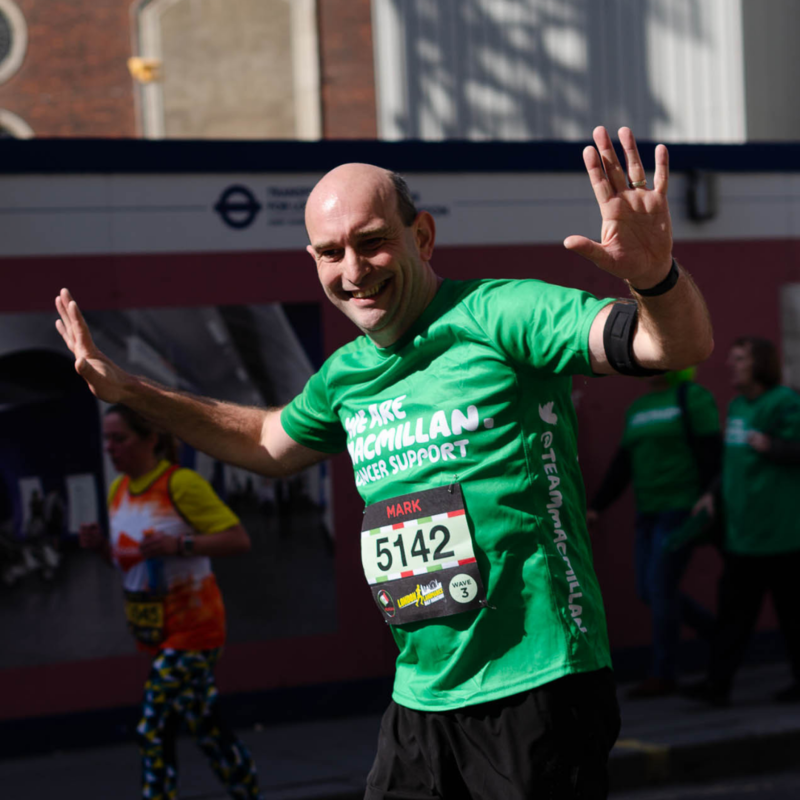 Your free Macmillan technical running vest or t-shirt, plus iron on letters to customise your kit. 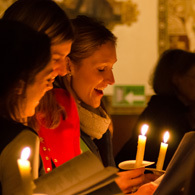 Regular e-newsletters to keep you up to date with London 10,000 news and activities. Most importantly we will provide you with a reason to put in those months of training and fundraising, because you'll know that your efforts are going towards improving the lives of people living with cancer in the UK today.